In a medium bowl, whisk together the oil, vinegar, sugar, salt, garlic, cayenne, paprika, and thyme until the sugar has dissolved. 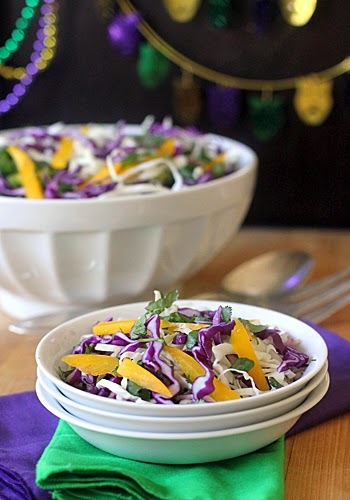 In a large bowl, toss together the cabbage, pepper, scallions, shallot, and parsley. Pour the vinaigrette over the cabbage mixture and toss to combine. Season to taste with freshly ground black pepper and salt if needed. Cover and refrigerate for at least an hour and up to 4 hours. Enjoy!